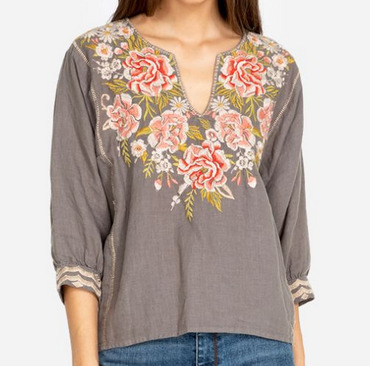 Cecile Boxy Peasant Blouse features a tunic-style neckline, gathered three-quarter sleeves, and delicate flowers and leaves, which make this shirt feminine and sweet. 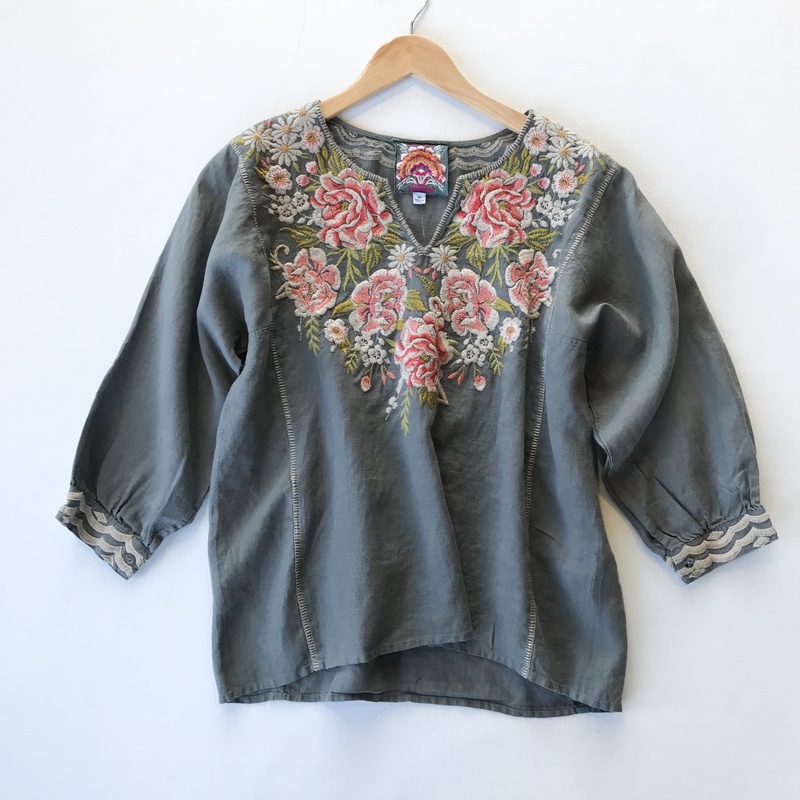 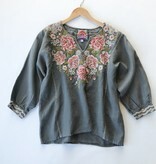 Its soft gray color and touch of embroidery on the sleeves add interest. 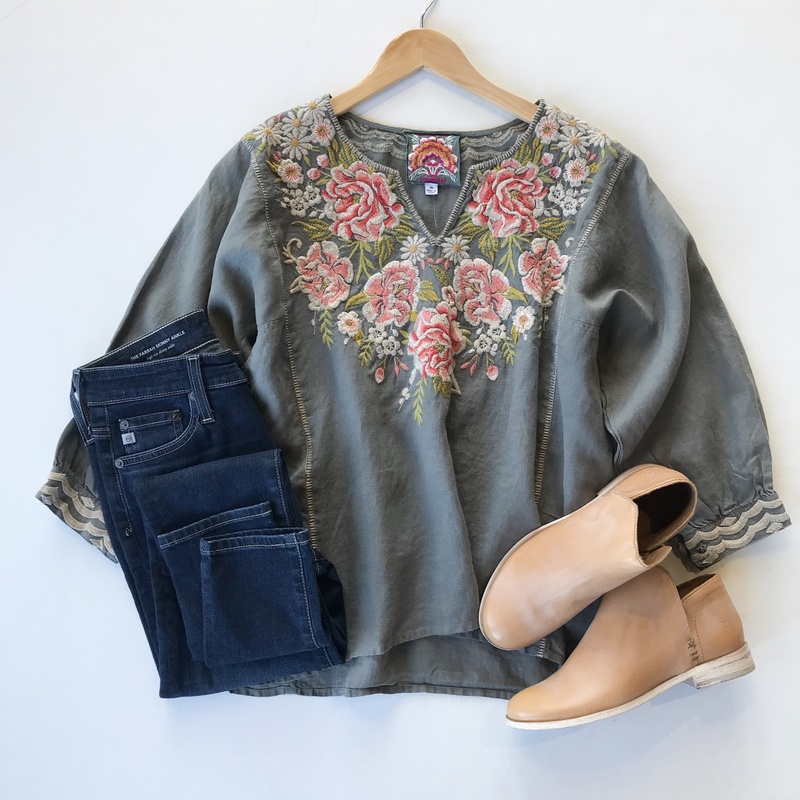 Rain or shine, day or night, slip into this top.